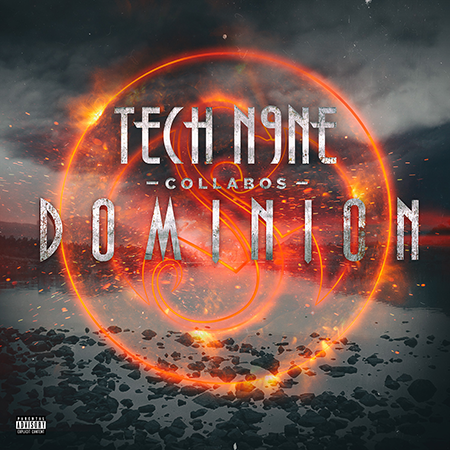 Featuring an onslaught of collaborations from the powerful, diverse roster Tech N9ne has assembled, the seventh installment in Tech N9ne’s Strange Music collaboration series, will excite fans old and new. A Brotha Lynch Hung appearance, a ¡MURSDAY! reunion, and multiple Krizz and Tech cuts will give longtime fans exactly what they want, but with appearances from Mackenzie, JL, and Above Waves’ own Ryan Bradley, Dominion will also showcase Strange’s new talent. Dominion drops April 7, but is now available for pre-order on iTunes. Pre-order it now and receive an instant download of the song “Put Em On” with Tech N9ne, Stevie Stone, and Darrein Safron.